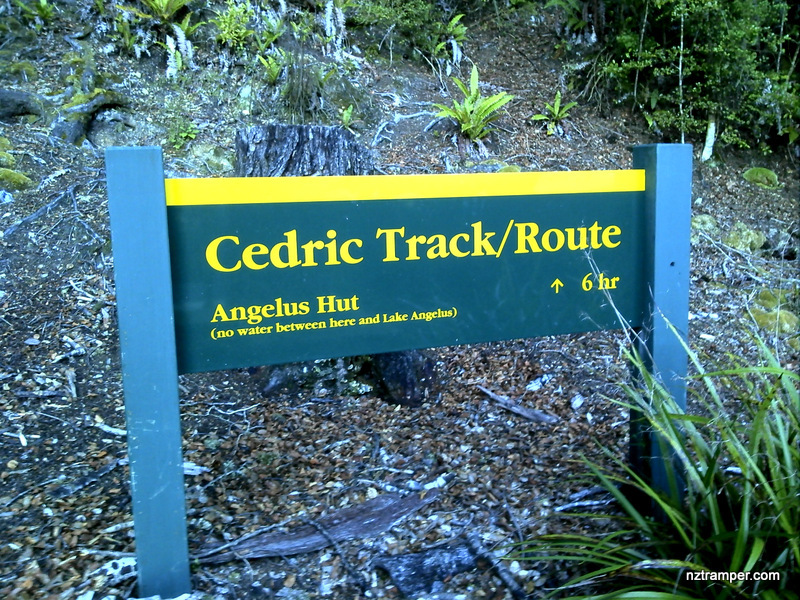 Trails: Sabine Hut – Cedric Track or Cedric Route – Mt Cedric – Angelus Hut. Day six of seven days Travers – Sabine Circuit plus Blue Lake in Nelson Lakes National Park. Note: Experienced trampers only! No water sources before Angelus Hut. Not recommended in bad weather! Swarms in the bush! 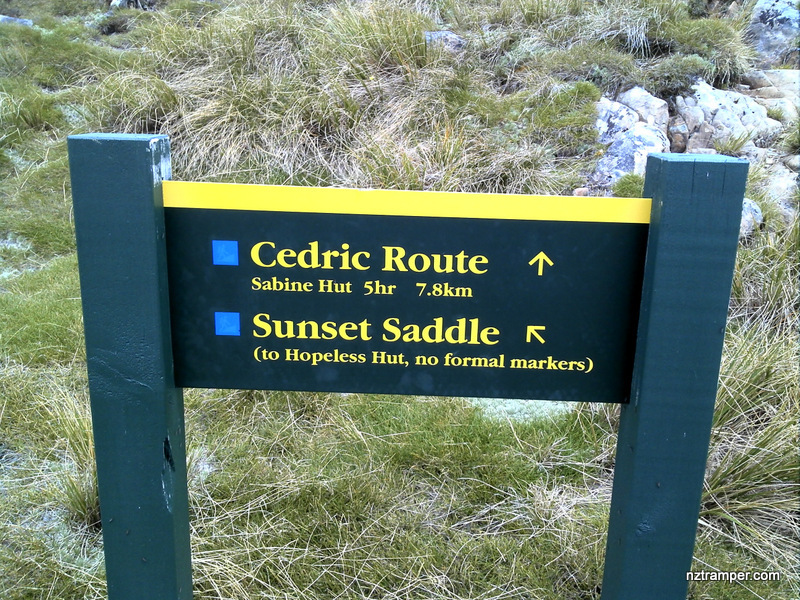 Car Park: No, Sabine Hut is accessible by foot and water taxi only. The “Total Time” is my time in January which includes tea times, lunch time and breaks. That day was fine. The track was good but very steep and rocky. If you slow down to average 2 km/h plus 60 min stop then the total time will be around 6 h.